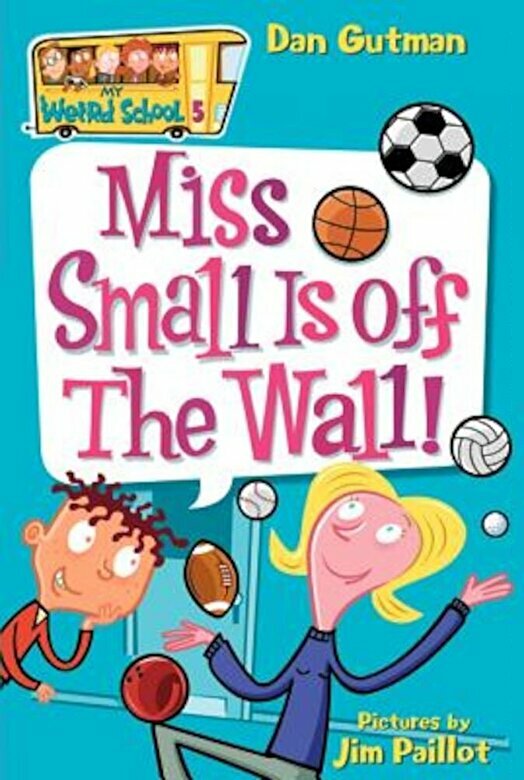 In the fifth book of the original My Weird School series, Ella Mentry's gym teacher, Miss Small, is teaching A.J., Andrea, and the gang about fitness. But how can anyone stay in shape juggling scarves, balancing feathers, and doing the Chicken Dance? Whatever happened to freeze tag or dodgeball? Perfect for reluctant readers and word lovers alike, bestselling author Dan Gutman's insanely popular My Weird School series has something for everyone. Don't forget to join A.J. and the gang on the rest of their hilariously weird adventures.